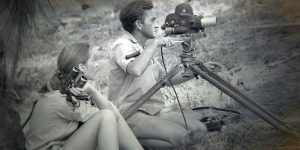 Graced with an original score from composer Philip Glass, and featuring re-discovered footage shot by her husband Hugo van Lawick, this fascinating documentary tells the story of Jane Goodall, who, as a young woman with no scientific training, went to Africa to study chimpanzees in the wild. 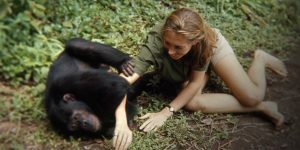 What she learned about the social interactions of the apes she studied led scientists to have a better understanding of our relation to primates. The film portrays Jane as wife, mother, scientist, activist, and above all a truly remarkable woman. The National Board of Review named Jane the Best Documentary of 2017.